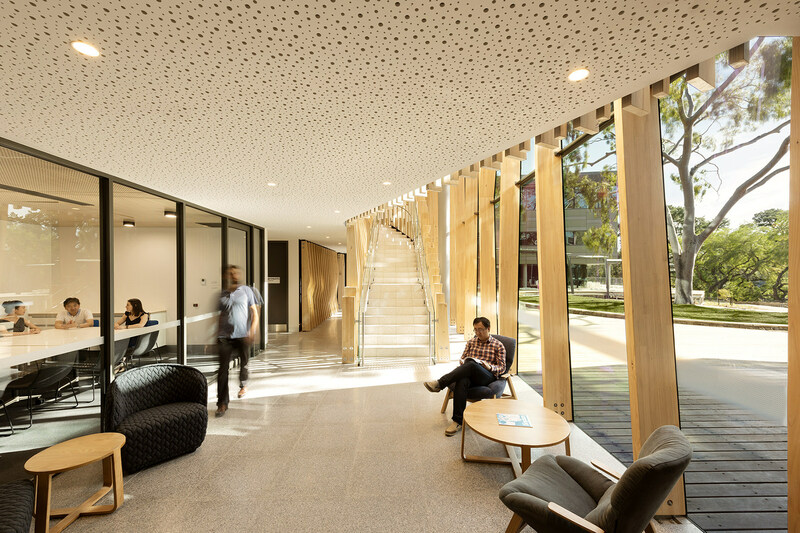 An inner city state-of-the-art clinical, research, education and training facility where youth health comes first. 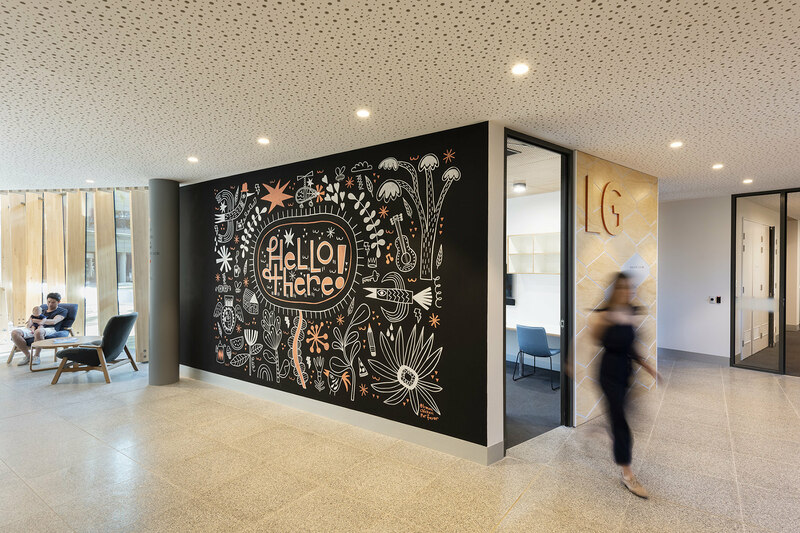 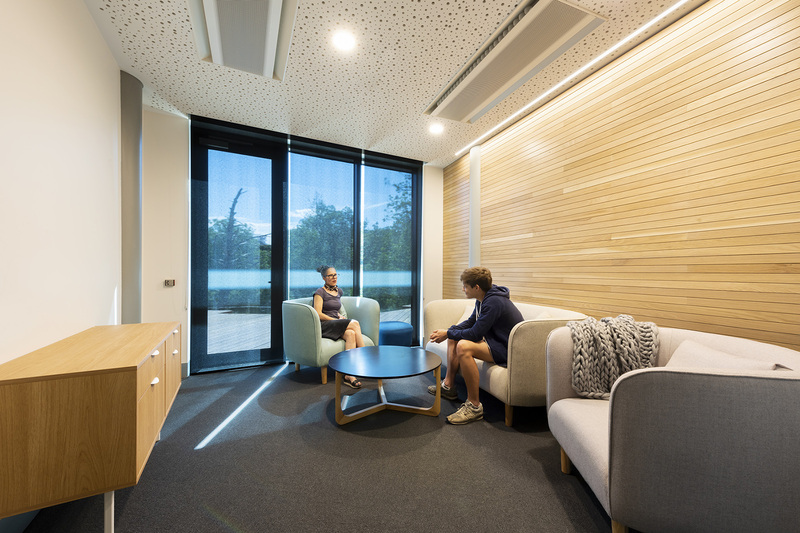 In 2016, Orygen, The National Centre of Excellence in Youth Mental Health (Orygen) and BLP commenced the planning for the development of a new youth mental health facility, where the needs and wishes of young people are the top priority. 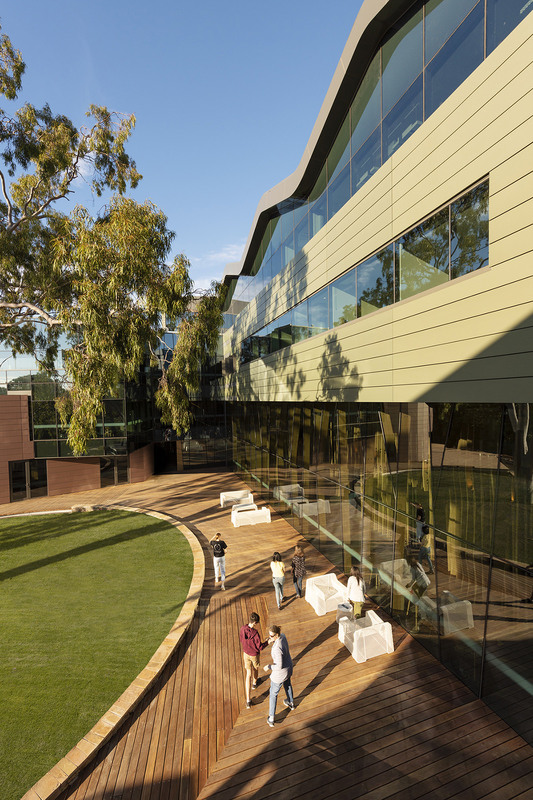 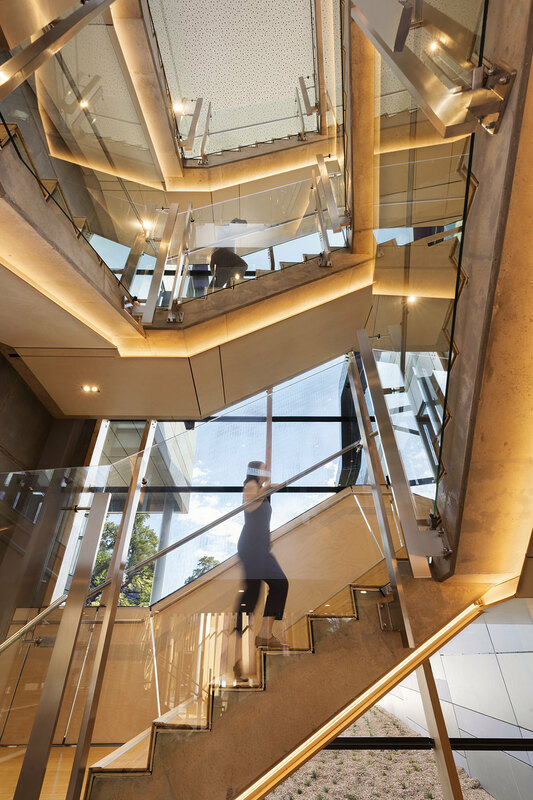 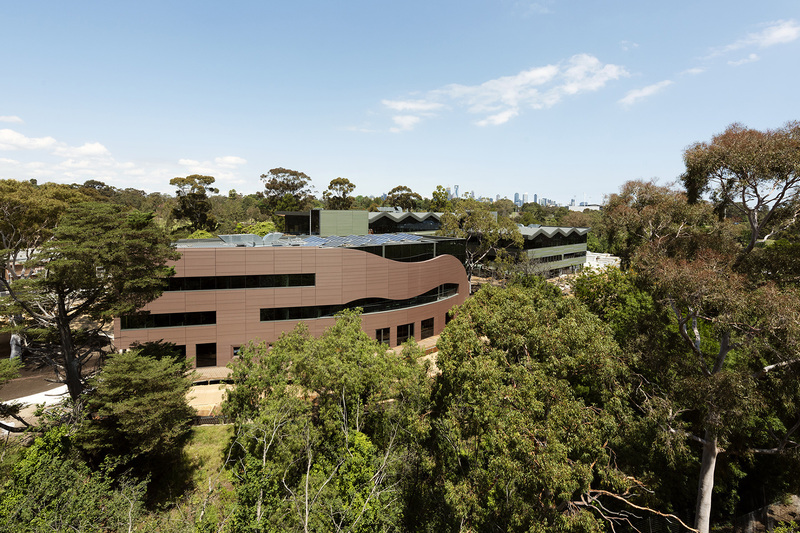 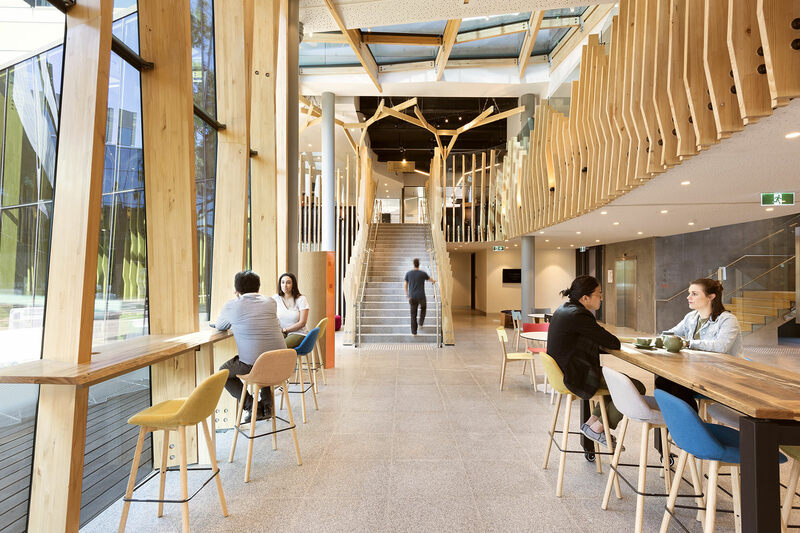 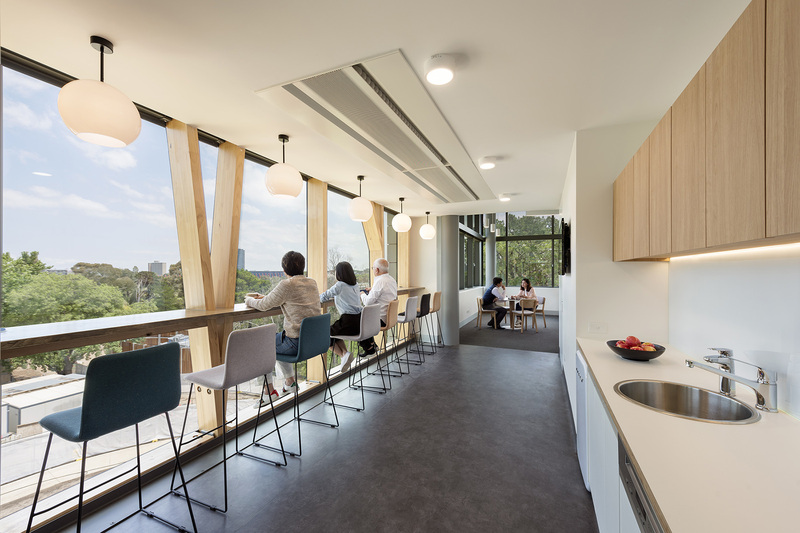 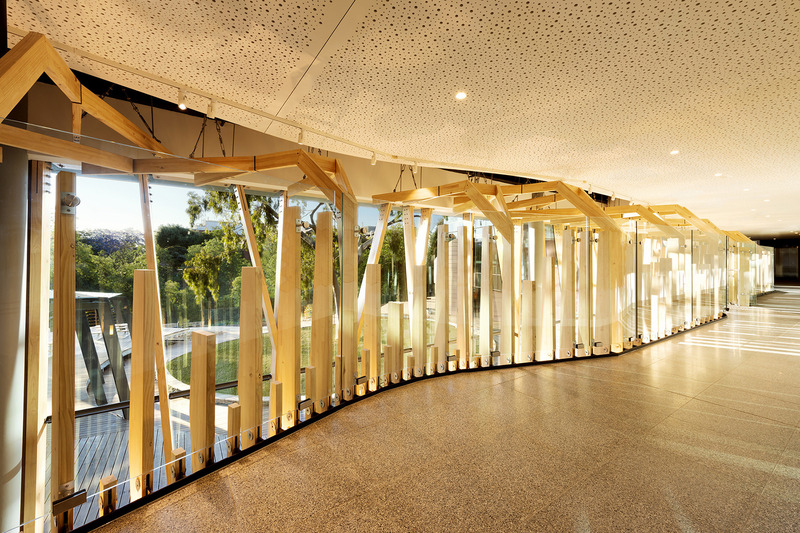 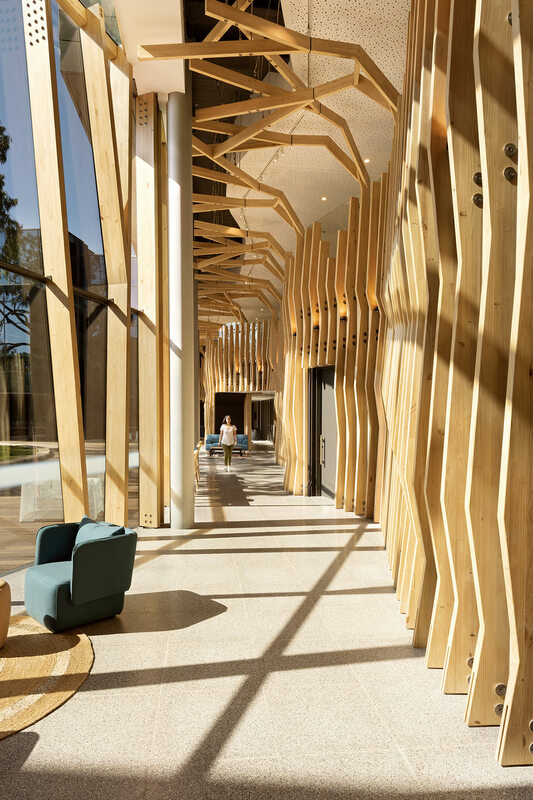 The theme of nature is expressed throughout the three storey building, which sits back into the slope of the site with views into its bush surrounds. 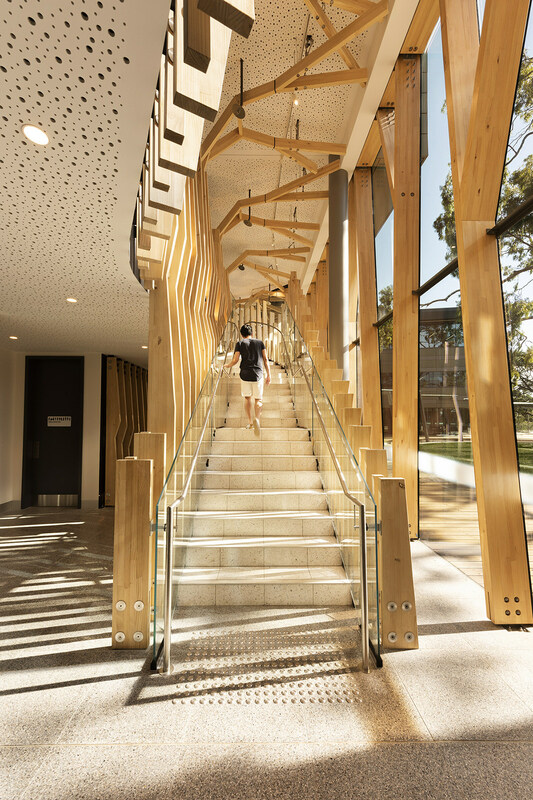 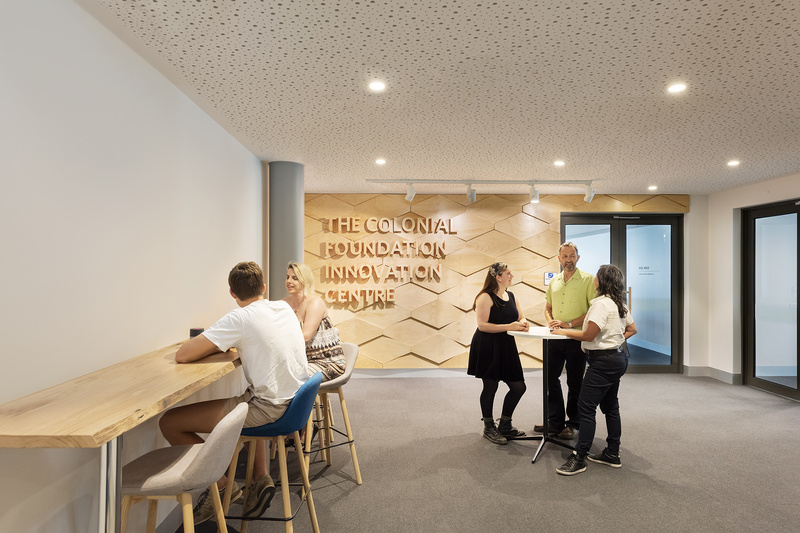 The main entry, expansive decks and a range of different indoor/outdoor formal/informal meeting and activity spaces create a welcoming, supportive and flexible environment. 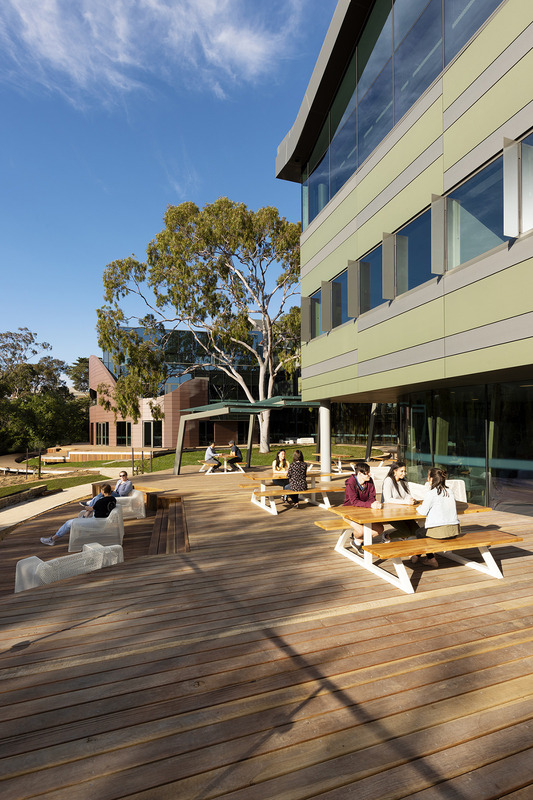 Access to well-landscaped outdoor areas are enabled from various points and provide multiple opportunities for young people, families and staff members to have outdoor consultation sessions, breaking down any institutional feel. 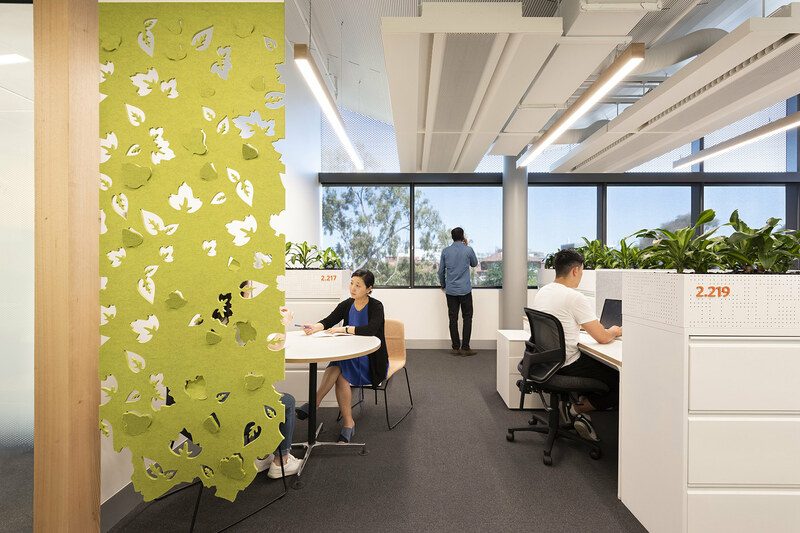 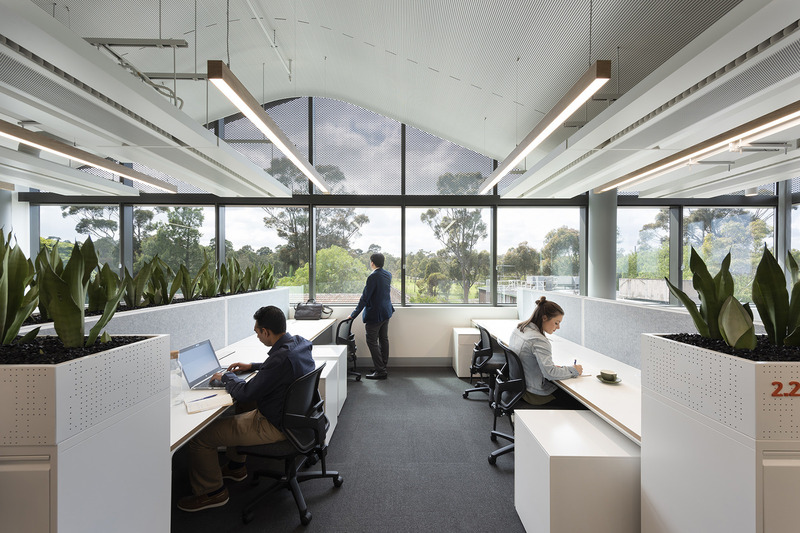 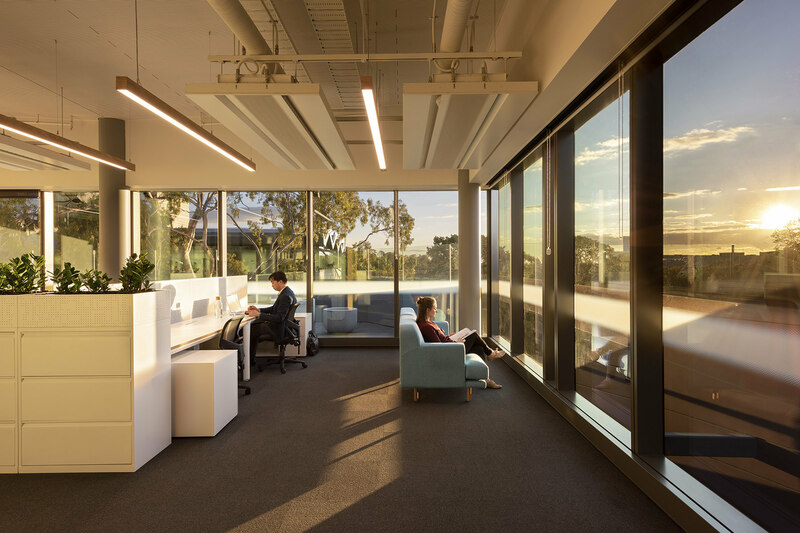 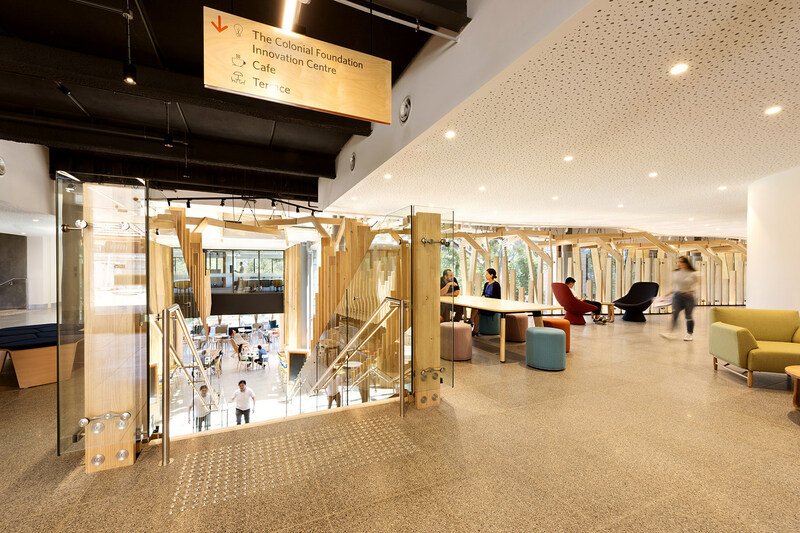 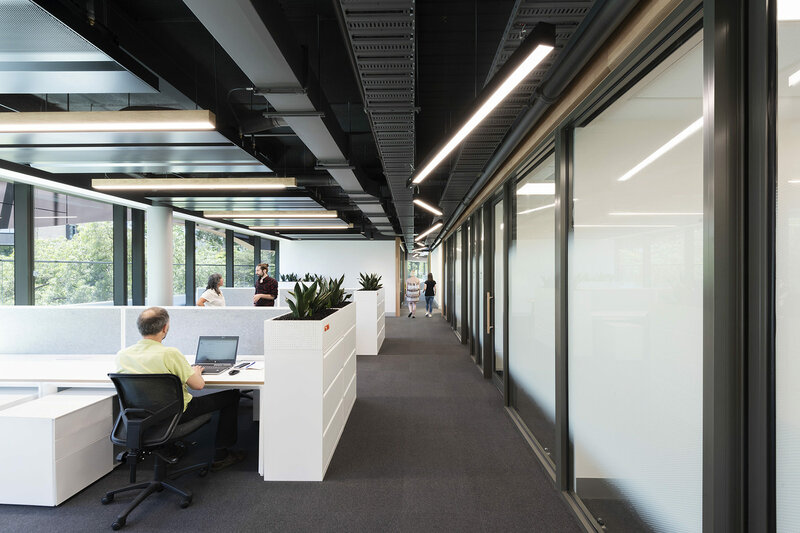 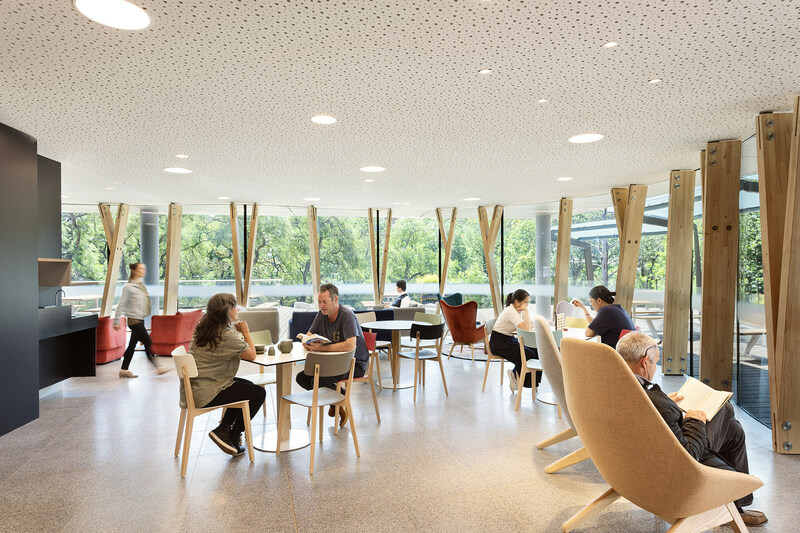 An open plan approach with clustered facilities allows users choice of environment and freedom to move, and dissolves departmental boundaries. 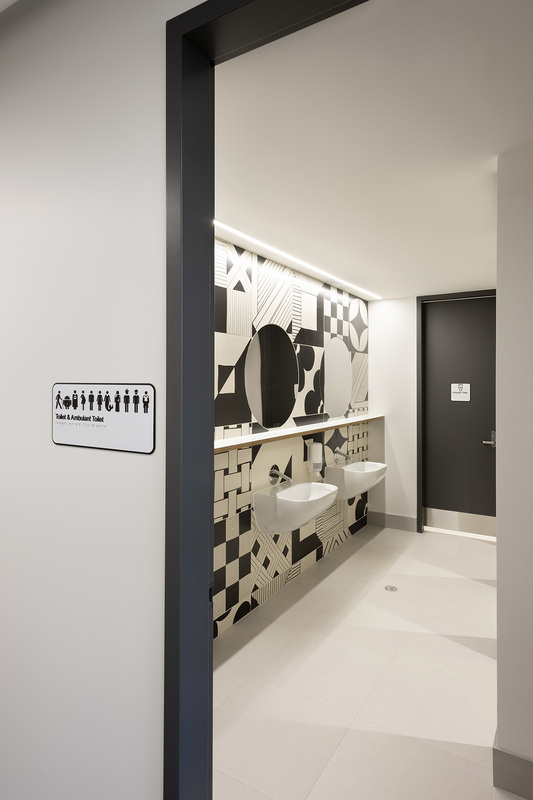 By engaging with the principles of Universal Design, facilities can be easily utilised for different needs without isolating or excluding any population group – an important part of Orygen’s and OYH’s commitment to inclusivity.